Scrambling is a method of ascending faces but more than often rocky ridges, it is somewhere between hillwalking and climbing and an easy climb can often be described as a hard scramble. Grade 1 is unlikely to require a rope but would involve steep and often exposed ground, good route choice is important and may be used in most weather conditions. 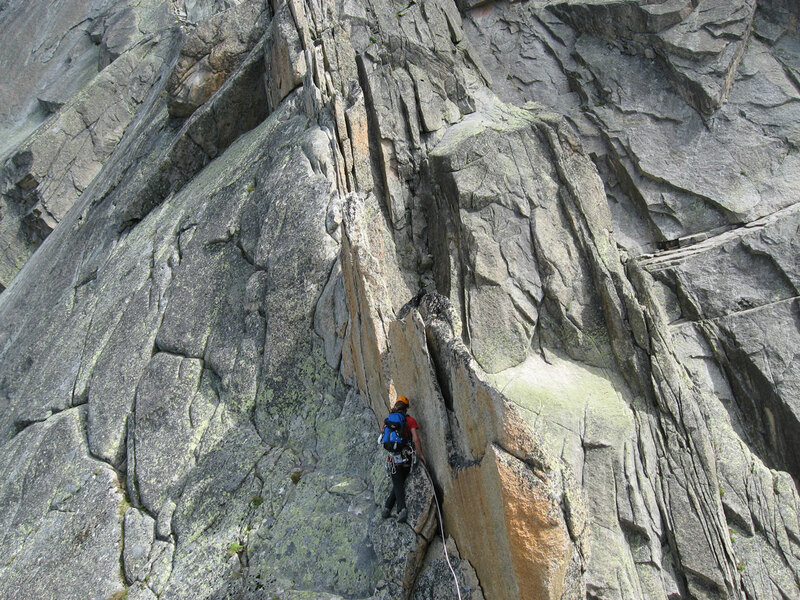 Grade 2 requires the use of a rope and elementary rock climbing skills to negotiate steeper ridges and gullies, certain weather conditions may affect these scrambles. Grade 3 is often lots of grade 2 ground, perhaps with some route finding decisions to be made. A rope is often used throughout. Scrambling courses include; learning to move on steeper ground, basic ropework skills and navigation as this plays a large role in finding the start and getting to your scramble. If you are wanting to learn the skills to get out on your own into some of the best area’s of the UK then this is the course fo you.